On a warm summer morning, in the magical garden of Villa Kultur, I sat together with the two women behind “Mad About Copenhagen” – Hazel Evans from England, and Marie Abildhauge Olesen, a native dane from Odense. What comes to mind when I say “food and culture”? Or, what is the importance of food in Danish culture? Hazel: My first thought is all the collaboration that happens here. People are doing pop-up events and working with each other – one guy developing beer [Mikkeller], another making hot sauce for him [John’s Hotdog Deli], using the beer. It wouldn’t surprise me if Mikkel was using John’s hot sauce to brew beer, either. But that’s what I think is nice about our food culture – that people come up with ideas together and collaborate, rather than competing with each other. Marie: If we’re talking about recent trends, there’s fællesspisning (communal eating), which is very new to Danish culture. In Denmark there’s a lot of hyggeligt eating with your family and friends but not really with the strangers. But fællesspisning is growing in popularity now. People are actually excited about eating with strangers and meeting new people. Hazel: At Absalon they do it every evening. We met Lennart and Sus who started it off four years ago and interviewed them for our book. Their whole thing was that they wanted to fix the problems that they could see around them [rather than those that are far away]. They observed that people were living alone, not talking to each in the queue to the supermarket, not looking each other in the eye whilst walking down the street. Their goal is kind to nudge people towards talking to each other and food is just one of the ways they do that – they also have bingo and morning dance and plenty of other events. 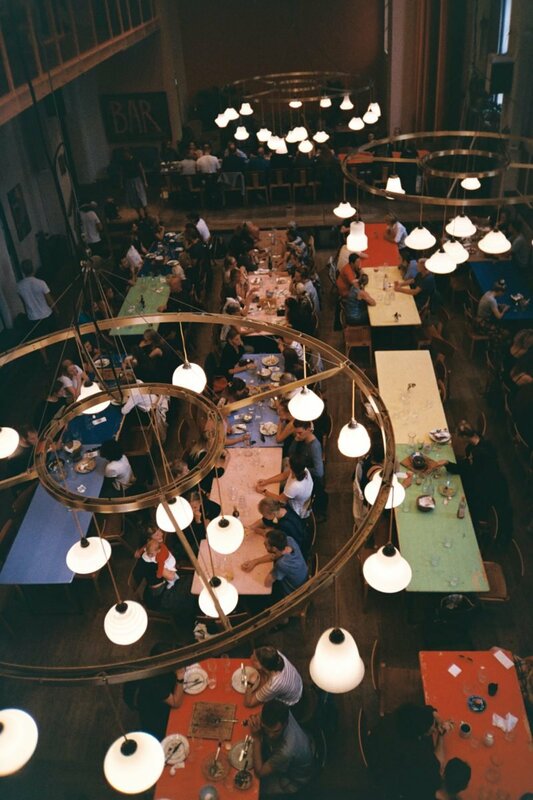 At their fællesspisning, around 200 people eat together there every night and they pay 50 kr. for a simple meal, which they collect themselves and then eat “family style” on the table. If you come alone, the guy at the door will deliberately sit you with people he knows will be open and chat to you, so you’re always in good company. Marie: Another thing to mention is langbordsmiddag (long table dinners). Even when it’s not in a fællesspisning situation, it’s becoming almost the default at restaurants that you sit next to strangers on long tables instead of being separated on small tables. It’s all part of the experience. I like this change. It seems like it’s a particular problem in big cities. We are so many people, but we’re not interacting. 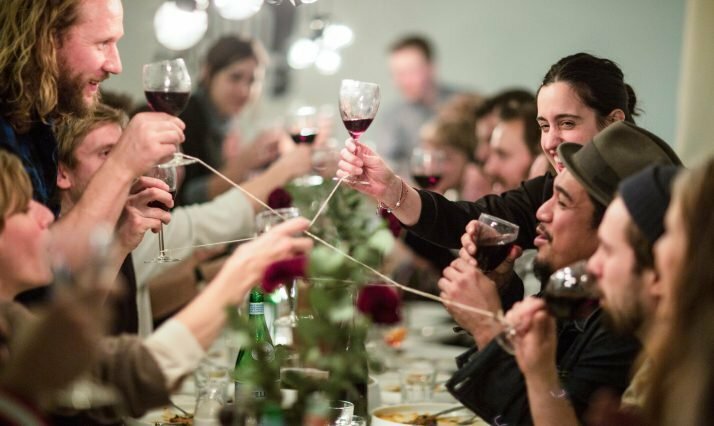 If you go to the countryside, you would know your neighbours and have long table dinners together for the whole street, but it’s not such a thing in the city, where everyone is so busy and there are so many opportunities it’s almost paralysing. If I ask my friends here, “Do you know your neighbours?,” they would probably say that they’ve never even have seen them before. I think the next step is not just Absalon organising it but people in the city taking initiative to do the same thing in their local areas. We’re already seeing that a bit. What are the other changes, that you can spot about people living in Denmark, in relation to food? Marie: Well, Danes used to spend a lot more money on fashion. Now it seems to be shifting and we’re spending more of their disposable income on food – eating out in particular. Perhaps our identity now is less about what we wear and more what we put on our plates. And people are getting nerdy too, fermenting things, grinding their own coffee – that kind of thing. 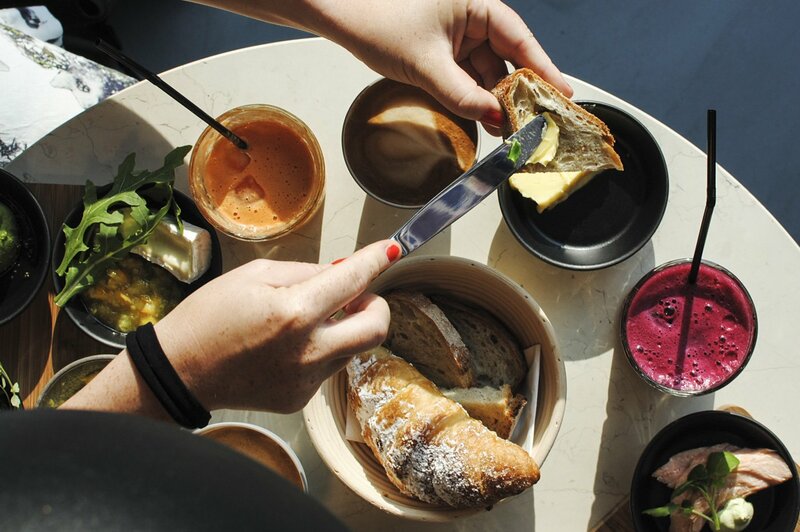 There is a change in the attitude towards food that might not just be Danish, but more of a general trend. These days, it’s not just about buying milk. It’s about going out to the farm and talking to the farmer. I might think this way because we work with it, but I think food is particularly hot topic in our culture at the moment. Also, eating out has become more accessible to everyone. 15 years ago there was basically only very expensive restaurants in Copenhagen to eat out, or the kebab joints and hot dog vans. But then several of the more “chain” like restaurants challenged that and said, “Let’s offer three courses for 200 kr.” Suddenly it became accessible for normal [read: not just the rich] people to go out and this put pressure on other restaurants to consider their price point. What is Danish food like today? Or, what is Danish food, actually? Hazel: I was thinking about this while writing the intro for our book. In our book we have an Italian restaurant where there are Danish women in the kitchen. Then we have a smørrebrød (open-faced sandwich) restaurant with the Swedish chef at the helm. There is a as well a very old school Danish inn making wienerschnitzel and the guy who runs it is Turkish. So I’m sort of left wondering what is national food. If everyone can make anything, so long as they put a bit of love and skill into it, why does an Italian have to make pasta or a Dane have to make smørrebrød? It feels like food being defined by a nationality is becoming less and less of a thing, at least here in Copenhagen. If you know how to cook and you are good at it, it doesn’t matter where are you from. Marie: John’s Hotdog Deli is probably the most Danish Danish place we have in the book. Hazel: Perhaps there is old Danish and new Danish food. Take Barr, for example. Their thing is the North Sea. They look at traditional recipes from Denmark, Belgium, England, Northern France, Norway and Holland and they they reinvent them so they’re more interesting to the modern foodies. It’s not old school “grandma’s kitchen” style cooking, because they’re all highly trained chefs, but they are researching all that traditional dishes and techniques and re-interpreting them and mixing them up. That is kind of new Danish. Hazel: I think you can find it here as well, it just gets lost amongst all the new places that are always opening. Marie: Yeah, those restaurants tend not to do very well because of all the competition in Copenhagen. But when you go out of Copenhagen you can find very traditional Danish food – often meat, potatoes and vegetables or some kind, and smørrebrød, of course. Hazel: We haven’t even mentioned New Nordic yet. That’s Danish in the sense that it’s all about using what we have close to us, rather than importing things. It’s also about experimenting with it – finding different ways to preserve ingredients for the winter. Or just altering our expectations of ingredients, like using unripe fruit and vegetables, which actually they give a completely different taste at different times of the year – sometimes more interesting than when they’re ripe. Where would you send me to eat out in Copenhagen if I were a visitor? Marie: Would you like to have some typical Danish food or would you like to explore some of the newer stuff? It’s impossible to give the same advice to all visitors – everyone has different tastes and preferences. Let’s say I’m spending the day with a friend. Places with price range around 200 kr. for a meal. And one of them should be a pizza place. 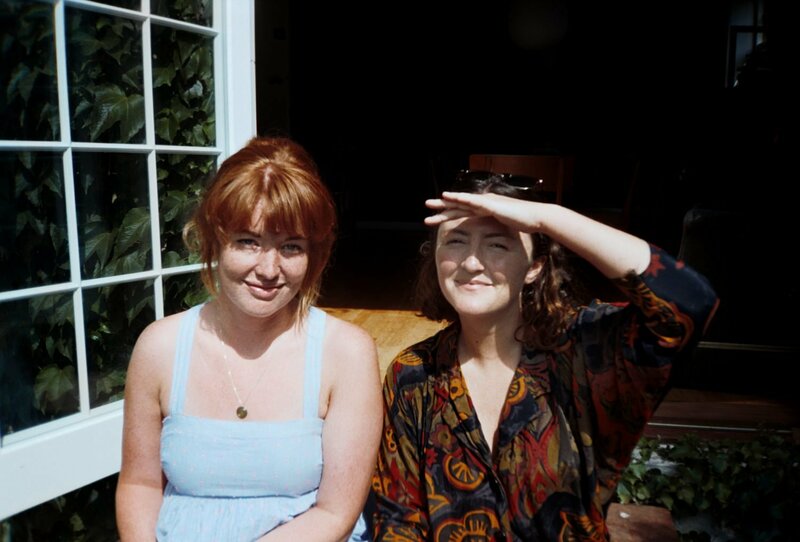 Hazel: You could do a fairly all-rounder Copenhagen day, with breakfast, lunch and dinner – to get a varied taste of the city. Maybe start with a really simple breakfast at Atelier September. It’s a very cliché recommendation, but you could just have the egg, the really nice rye bread, the piece of comté cheese. And the salt and their wonderful butter. That’s one of their breakfast dishes. It’s so simple but it’s all good quality and sometimes it’s all you want. For lunch, if you are open to a new twist to the traditional Danish food, you could go to Selma. That’s the Swedish guy – Magnus – making smørrebrød. I like it and I usually don’t like smørrebrød! Marie: Then for dinner, if you want to try a pizza you can’t get anywhere else in the world, I would recommend Bæst. They’re like the best of Italy meets New Nordic. They cure their own meats and make their own mozzarella with milk from their farm. Hazel: And after Bæst you could go for a glass of natural wine at Rødder & Vin just around the corner. They just opened a bar next door to their shop. Solfinn is one of Copenhagen’s natural wine connoisseurs. 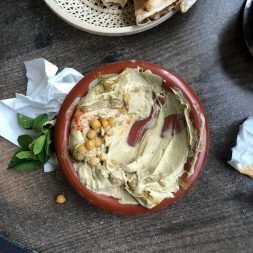 Marie: There you go – your day in the city! Mad About Copenhagen runs the Instagram account @madaboutcopenhagen, that tells stories about the people and food in Copenhagen. In October 2018, you’ll be able to purchase their book that goes into more depth on those stories, including interviews, recipes and lots of mouthwatering photos. Learn more about them at www.madaboutcopenhagen.dk.